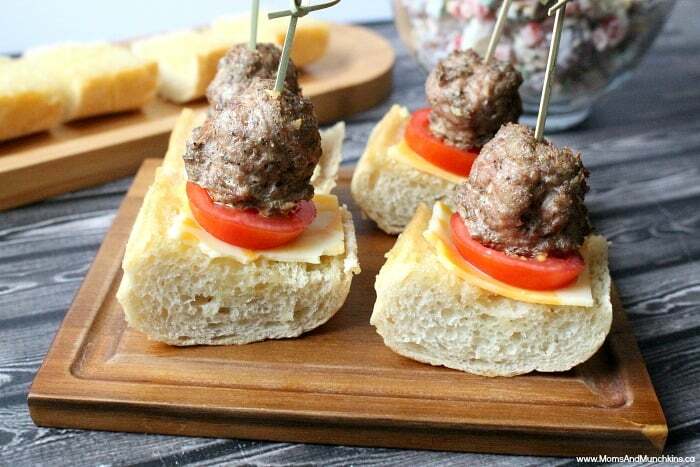 ‘Tis the season for summer BBQ parties so today I have an easy appetizer recipe to share with you. 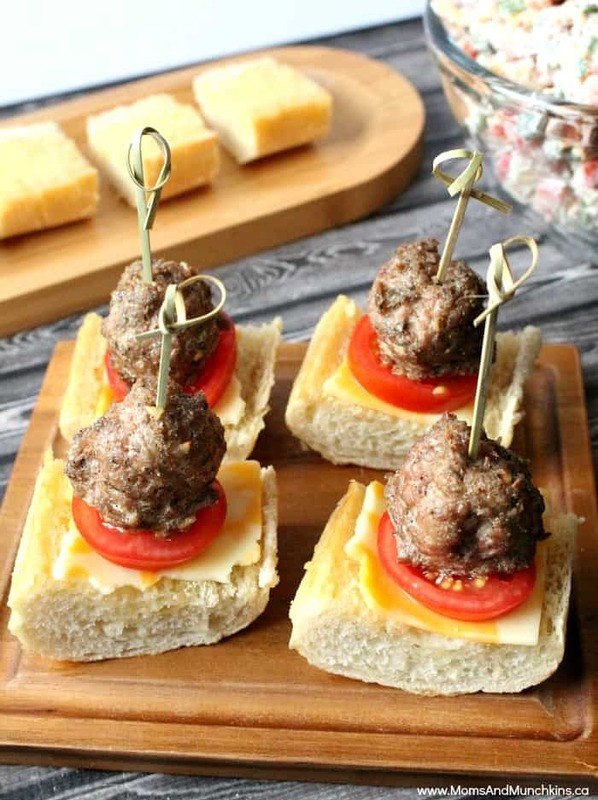 These Italian meatballs are packed with flavor – kind of like a peppery, spicy taste. 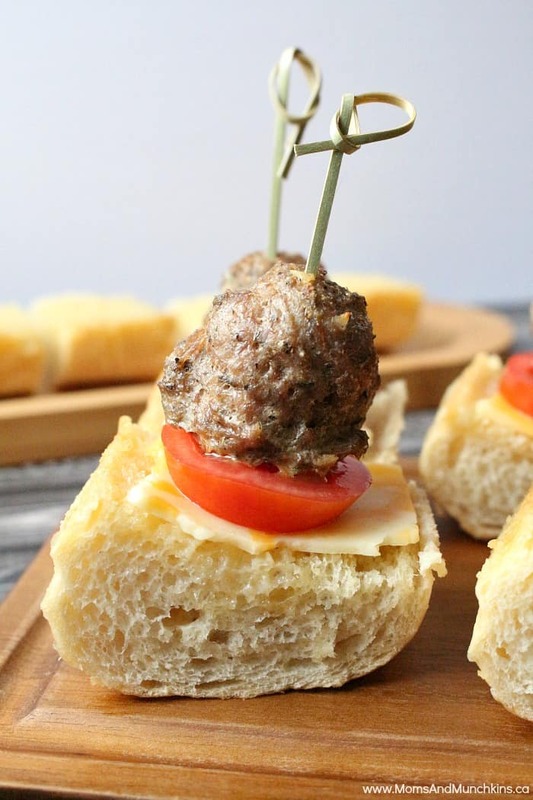 The meatballs are delicious on their own but you can turn them into tasty appetizers by pairing them with some freshly baked garlic bread. I bought one of the frozen garlic baguettes for this recipe and I used cocktail tomatoes (slightly larger than grape tomatoes) plus marbled cheese. These Italian meatballs would also taste great with your favorite tomato sauce served over pasta…and now my tummy is growling! I used ground turkey for these but you could use ground beef instead depending on your preference. Turkey is a leaner meat packed full of vitamins and nutrients so I use it in my recipes often. Place on ungreased cookie sheet and bake for approximately 40 minutes, turning halfway through. Cook until internal temperature reaches at least 165F. *Optional: Serve on sliced garlic baguette with tomato slices and cheese. Those same spices would make a delicious hamburger too! You’d have to cook hamburgers for longer of course since they are larger than meatballs. 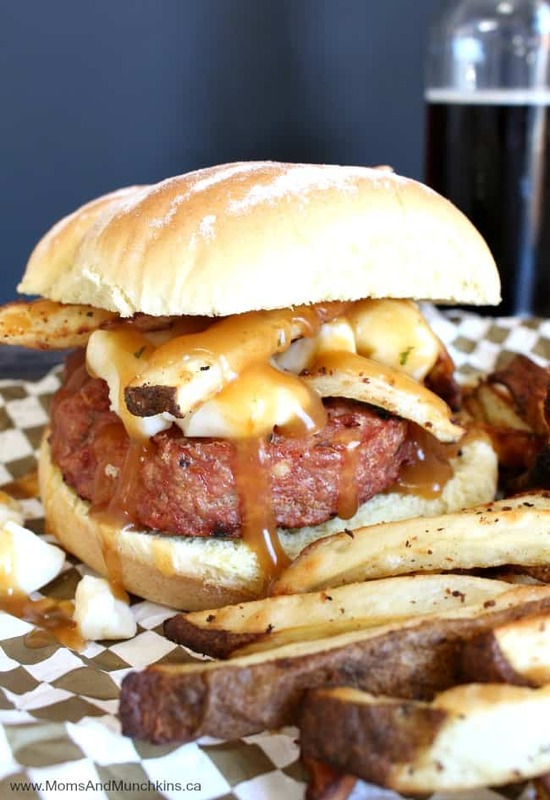 For another unique & delicious summer BBQ recipe idea, check out our very Canadian Chicken Poutine Burgers.